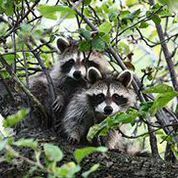 BWS field experts offer some valuable insight into the basics of handling a raccoon infestation. I think I have raccoons in my attic. how much damage can they do? A ton. Raccoon problems have to be addressed immediately. Raccoons will cause all kinds of damage to your house and they’ll do it quickly. Problems stemming from raccoon invasions tend to build up quickly, so you really don’t want to wait around while they’re causing trouble. What’s the first step I should take after I discover a raccoon problem? You can technically purchase raccoon traps on your own but, in reality, raccoon removal is a job for professionals. There is no need for you to risk your health trying to eradicate pest problems on your own. A professional team will show up with traps in hand – which will be baited and set in the perfect location for attracting the problem pest(s). Once your raccoon is caught, you’ll need to properly dispose of it. 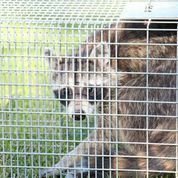 By Ohio law, raccoons captured on private property cannot be relocated. If you get caught trying to do this (which happens more than you might think), you will be hit with a $500 fine. It is simply best to leave the situation in the capable hands of a professional removal service. OK, So What happens after you catch the raccoons? A key part of the raccoon removal process is sealing up all of the entry points around your house. Raccoon scent will attract other animals and you don’t want that extra headache. Buckeye Wildlife Solutions experts are trained to spot and seal all entry points, leaving your home protected from outside invasions. Is there anything else I should do once I’ve blocked off the entry points? Once all the above steps are taken care of, we will clean up the infected area. This is another very important step for keeping future invaders out. If you leave your attic unsanitized, there is guaranteed to be leftover raccoon scent. This will send a message to all the other critters that your property is safe to invade. If you encounter invading pests, you should simply call a professional wildlife removal service immediately. These issues will not go away on their own and will worsen with time. Call Buckeye Wildlife Solutions today for more information!